The last of six candidates for the Martin Family Fellowship Professor in Piano position will give her performance on Friday, February 9. 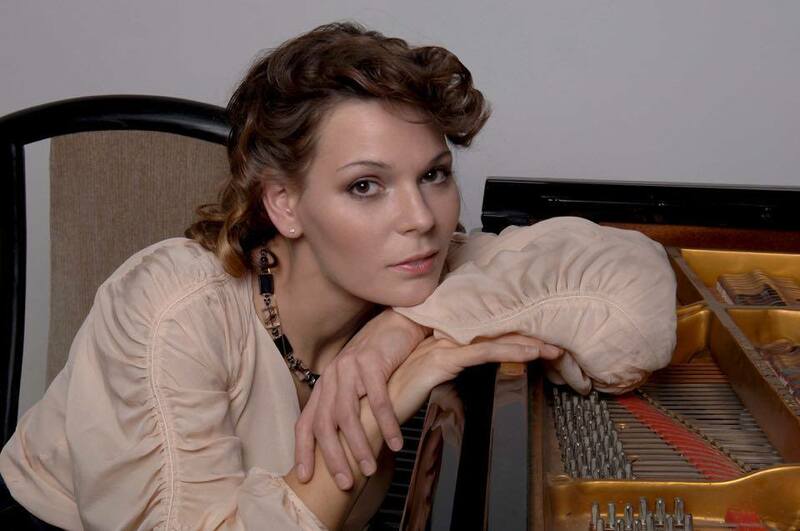 Victoria Kogan, a Russian-born pianist with many accolades attesting to her talent and skill, will provide a master class in piano to students, work with chamber ensembles, and give a presentation to IU South Bend music students. Her free, but ticketed, public performance will take place at 7 pm in the Louise E. Addicott and Yatish J. Joshi Performance Hall. Kogan brings with her a passion for piano that began when she started playing at the age of five. She debuted at the Small Hall of the Moscow Conservatory just a year later. Coming from a family that valued music greatly, her grandparents, Leonid Kogan and Elizaveta Gilels, were famous violinists. She went on to gain her master of music and doctor of musical arts from the Moscow Conservatory. There she studied with such greats as Lev Vlassenko, Mikhail Pletnev, Sergi Dorensky, and Pavel Nersessian. Kogan has been a faculty member since 2007 with the Moscow Conservatory, and with Seokyeong University in Seoul since 2014. Playing many international stages, Kogan is a frequent guest at famous music festivals including the Corinthian Summer Music Festival in Austria, the Summit Music Festival, Mannes Keyboard Festival in the United States, in Germany at the Muskitage Koblenz, as well as in France at both Nuit Classiques de Ramatuelle and Nuits du Piano d’Erbalunga. She has performed as a soloist with major orchestras in many acclaimed concert halls the world over, including the Big Hall of the Moscow Conservatory, Nurnberg Meistersinger Hall, and Teatro di San Carlo in Naples. She has traveled through Russia, the United States of America, Canada, Germany, Italy, Austria, Spain, Netherlands, Turkey, Egypt, France, Azerbaijan and Korea with her music under famous batons in with grand orchestras. She has recently received critical acclaim for two recordings of Beethoven piano concertos for the distinguished imagination and stylistic precision of the execution of the pieces. The recordings were released under the Art Classic Company label.